Wade Carner has practiced in many areas of law including several years in the area of construction defect litigation representing homeowners, developers, general contractors and subcontractors. Wade also served as a Civil Deputy District Attorney in Churchill County, Nevada where he provided general legal counsel to the county, prosecuted criminal cases, handled public guardianship cases, and represented the state in child dependency cases. 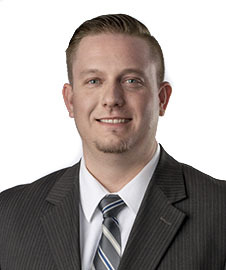 Most recently, Wade was the managing attorney for the Reno office of a Plaintiffs’ construction defect firm where he handled complex construction defect cases from start to finish and managed the operations of the Reno office. An avid outdoorsman, Wade enjoys spending time hiking, camping, hunting, and fishing with his wife, children and yellow lab.